This is good bye...for now! I have been MIA for a few months now and I am finally letting you in the loop as to what has been happening. Being in the blogging industry for two years, has constantly reminded me that this thing we bloggers do...its not for sissies. It takes motivation, creativity and, the thing we're always chasing, TIME! Most bloggers have full time jobs, houses to run and even kids to sort after. You can imagine how difficult it is to fit blogging and events into an already jam packed schedule. Now, I don't have to deal with all of the above obstacles, my point is that life catches up to you whether you like to admit it or not and the next thing you see (in my case), you haven't posted any new content in a few weeks. I have come up with a solution to stop that from happening because no matter how busy or tired I am, I LOVE BLOGGING! 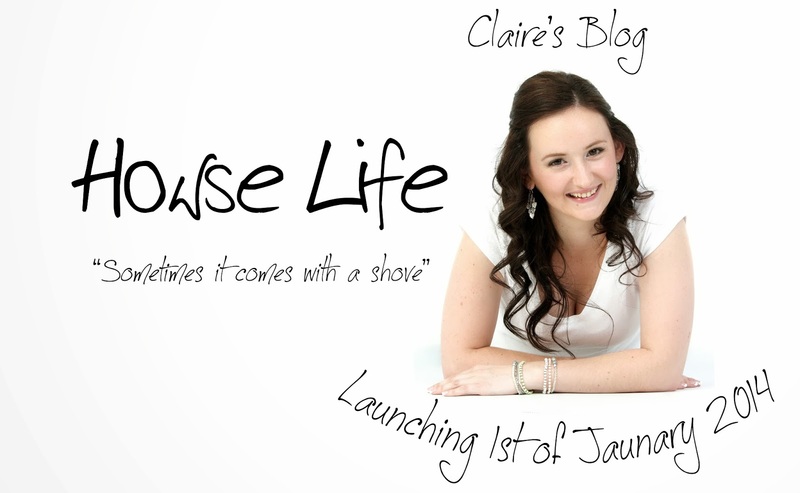 So this is what's up...I am launching a new blog! I have been working on my new blog for the past 6 months. Everything from name idea's, look and feel, photo shoots, categories, blog niches and what you will enjoy reading the most...that is what has been keeping me busy. Oh boy! I am so frikin excited! This decision came about once I knew that I wanted to share more than beauty reviews. I want to explore all the wonderful topics there are to blog about. Food, decor, travel and, life! Howse Life is an adventurous concept very close to my heart. I will be sharing almost every aspect of my life with the incredible World Wide Web and the trolls that prowl there, not to be attention seeking or for ulterior motives but simply because I feel that my words need to last forever and I want to share my story. What better way than to share it as it happens. This new blog will be run mainly by myself with appearances from my boyfriend, Malcolm. He will add a really fun guy edge and hopefully help with some DIY advice. I could really carry on forever. Lets just leave it at that and I'll see you next year for the new, amazing awesome, fun blog. I really love Essence products. They are original, trendy and really affordable. Definitely one of my have-to-have brands and I always go to the Essence stand first when I walk into Dis-Chem or Clicks! 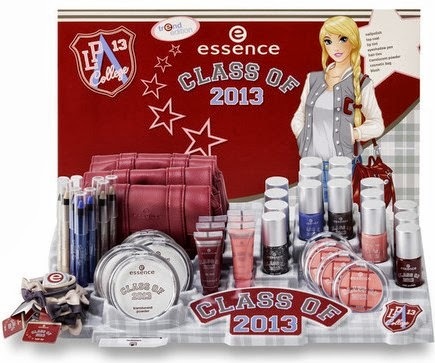 If you go to your nearest Essence stand you may still be able to catch the last of the "Class of 2013" Trend Edition. I was sent a few products to share with you. Here is what I received! Class of 2013 nail polish in 03 "Ready for rush week?" This polish is a beautiful deep red boarding on burgundy. Try one coat to acheive a lighter coat and two layers to get the colour seen on the bottle. The formula dried relatively fast and did not streak or bleed. I paired it with the next polish. 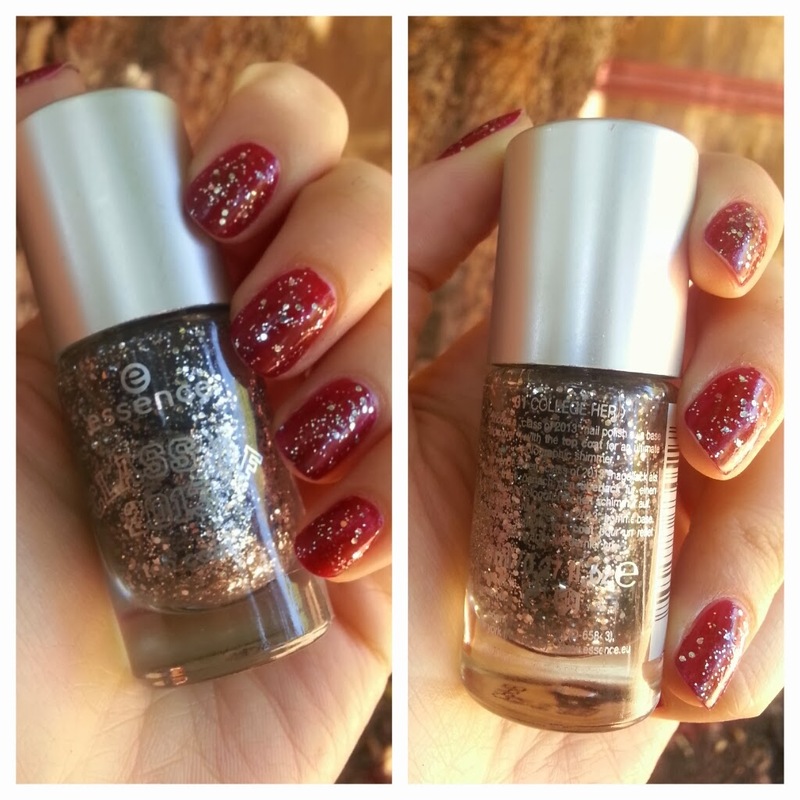 Class of 2013 nail polish in 01 "Collage herd"
Glitter polish is very versatile especially when its silver. This nail polish pair really suits one another. The glitter may be a bit "flashy" for a day time look so I suggest wearing the red at work (lets be realistic, this trend was only made for the American tween market. We wear uniforms here) and then put the silver glitterati top coat on before your night out on the town. Which ever you decide, these two nail polishes are stunning. Only R39.95 each. Class of 2013 eye shadow in 01 "Want to be my freshman"
This is my favourite of the three products. Its a beautiful creamy eye shadow stick. 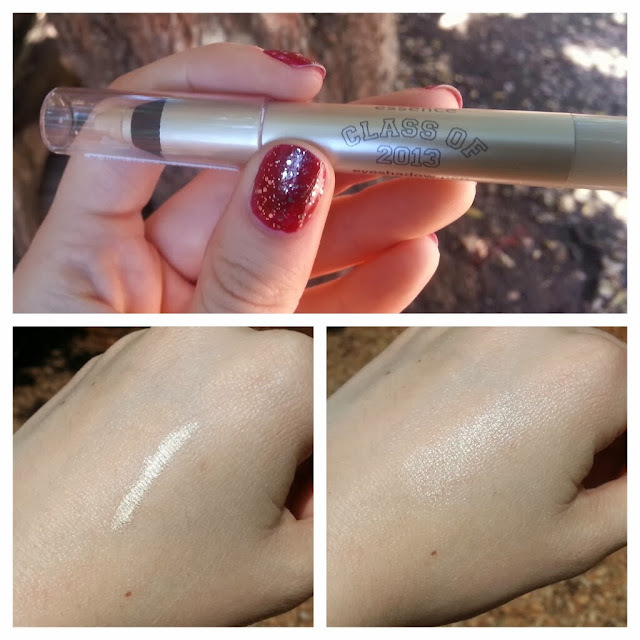 You can use it as a liner or smudge it out and blend it with the rest of your makeup. This is a great product for highlighting the inner corner of your eye or even blended under your bottom lashes. I'm not sure about how much this goes for but it shouldn't be more than R35. Tweens, you might be able to get away with wearing this at school but only use a tiny bit. I really wished we had casual wear as our uniforms back in high school. I would have had a lot more boyfriends if I was allowed to wear make up. We'll save that pity party for another time. Thanks so much to Essence for these cute back to school themed products! 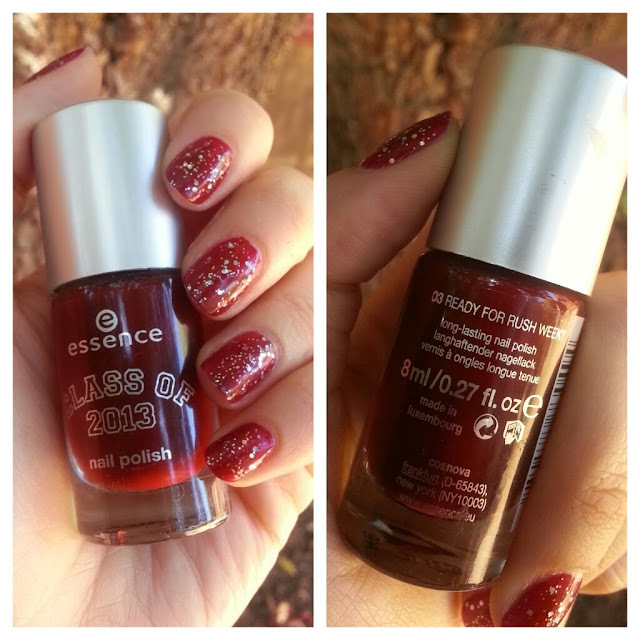 You can find Essence stands and their trends at Clicks and Dis-Chem stores (FYI: Dis-Chem has a much bigger range of the nail care products and nail polishes than Clicks). 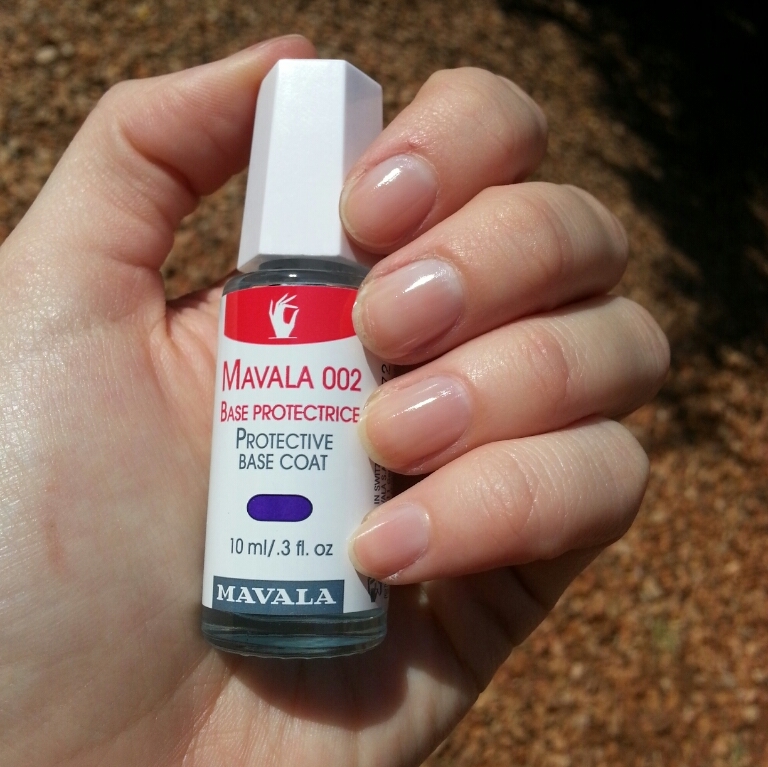 Mavala's new top and base coat on steroids! 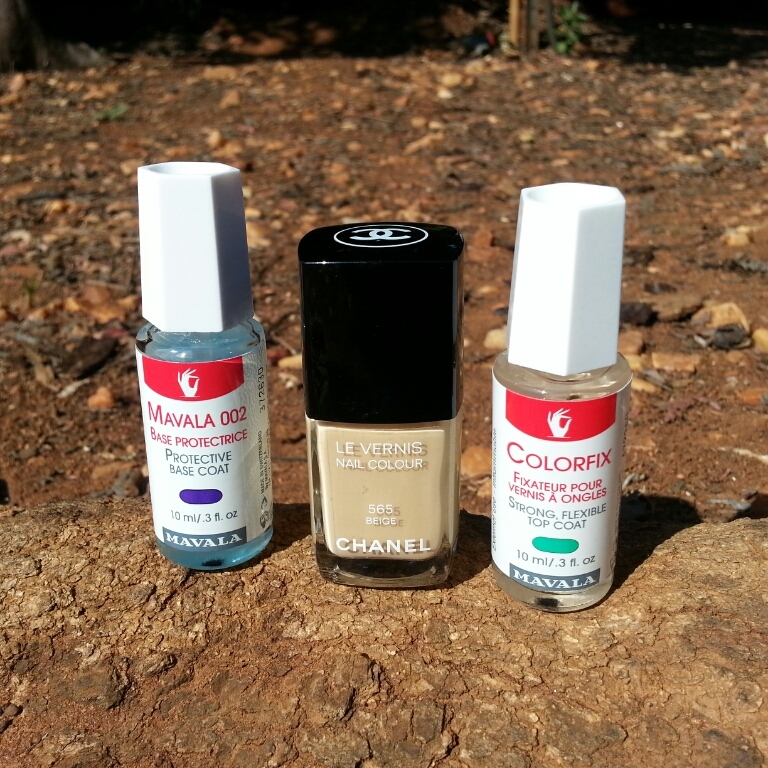 Mavala SA was kind enough to send me two newly launched products recently which have been added to their amazing range of polishes. These two products are Mavala 002 base coat and Colorfix top coat. Step one? Base coat of course! I always like to emphasize the importance of a base coat, even if I seem repetitive. It helps prevent yellow nails effected by nail polish pigments and it prevents staining of bright coloured polishes such as red and blue. 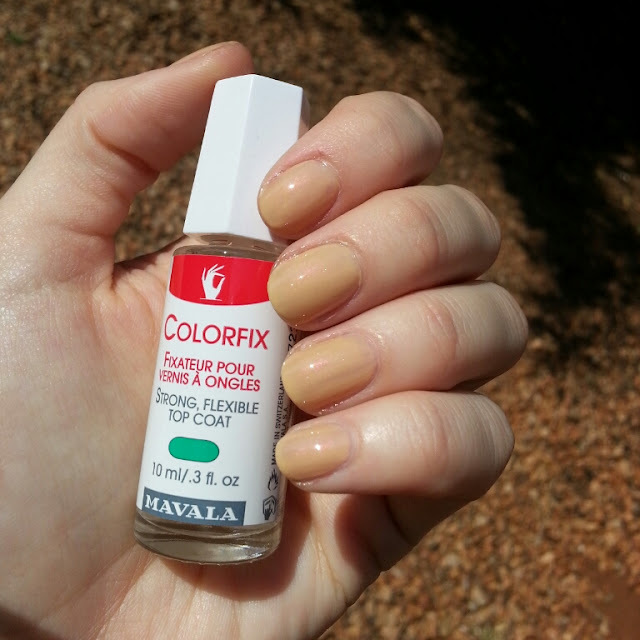 A base coat is also handy as it "fixes" nails polish to your nails. It usually has a tacky or sticky consistency which helps your next layer adhere to your nail plate better. 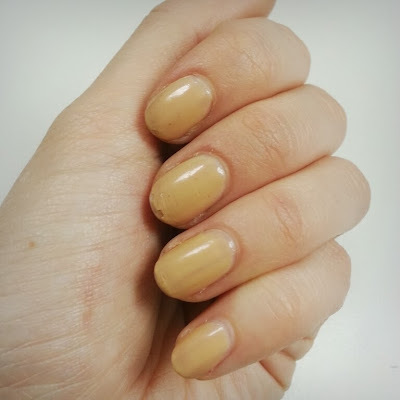 The Mavala 002 base coat did it's job really well. It wasn't too thick so it dried reasonably fast. The brush was also soft but firm enough to apply without things turning into a nail polish murder scene. 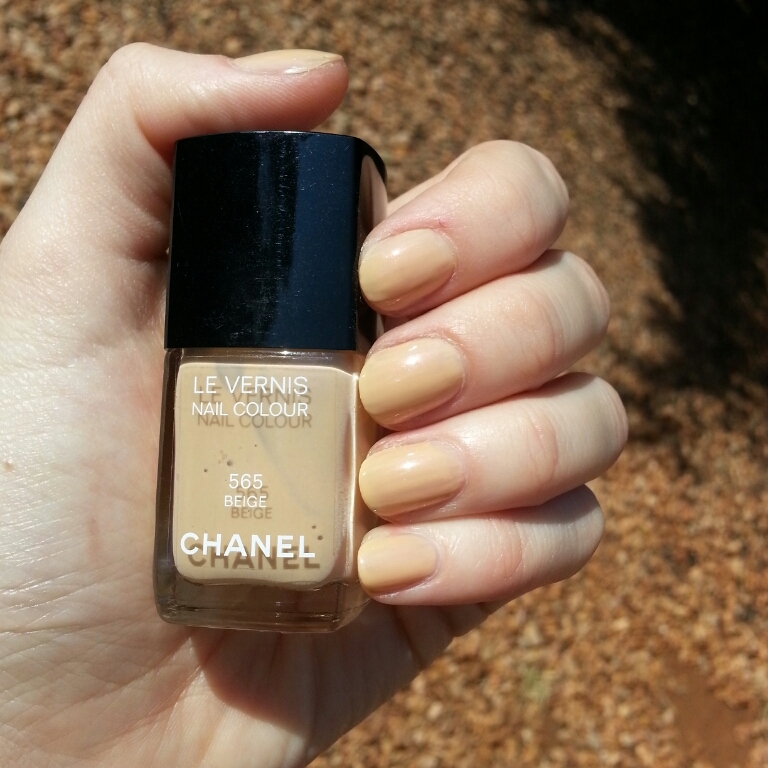 The colour I applied for this mani is Chanel's "le Vernis" in 565 Beige. The reason I chose this polish was because I had problems in the past with chipping, from day 1, so I though it would be a great candidate to put these two Mavala products to the test. It is also a fresh colour for Spring. Immediately, I hope you notice the shine this base coat gives your mani (compare the two pictures above). It is really sparkly and you may even notice it brings the pink shimmer of the Chantel polish. ...so maybe I could have taken it off a little sooner but seeing as it's such a light colour I got away with the chips that are noticeable in the image above. The point to all of this is that these two Mavala products are pretty potent. Since doing this mani I have found myself reaching for the Mavala 002 base coat and Colorfix top coat more often, which definitely says something. Thanks again to Mavala SA for sending me these Mavala goodies. The press package was put together extremely well. I had a such a ball testing the products out and bragging to my friends, family and blog readers about how great they really are. Peeps, feel free to follow Mavala SA on Twitter and Facebook. You can also get these fab products at Dis-Chem and selected pharmacies. Before moving on, pop over to my review of Mavla's Via Veneto nail polish. Miss Claira-Bella 2012. Simple theme. Powered by Blogger.